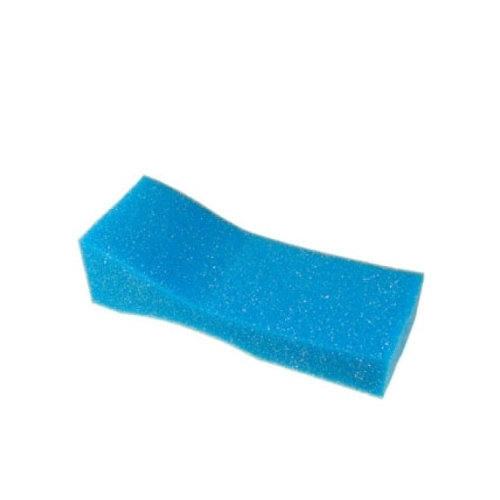 A contoured sponge that attaches to the back of a violin or viola with rubber bands (rubber bands not included) and helps support the instrument and promote good playing posture. The blue sponge is a little taller and more dense than the grey sponge. This shoulder sponge fits 4/4 (full size) violins and 14" violas.